Mario Kart 8 was arguably one of the most polished entries in the series yet (barring the botched battle mode, argh) and featured a substantial DLC campaign that greatly expanded upon the existent content that came with the disc. Many thought that the DLC was "done right", as it offered an impressive amount of content for a relatively low price, and it certainly made this one of the meatiest Mario Kart games in terms of tracks and karts. There were two primary packs released, one based on Animal Crossing and one based on The Legend of Zelda, but it's been some time now since they landed on the eShop. Considering that they added quite a lot of content to the base game, it wasn't necessarily expected that Nintendo would continue to support the game with more content releases. While nothing has been confirmed yet, it seems that Nintendo UK is hinting at more DLC coming to Mario Kart 8. 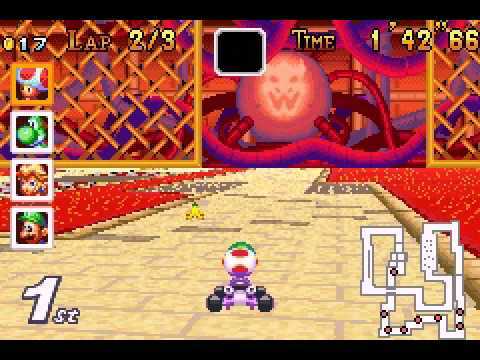 A tweet was recently posted showing a screenshot of Kalimari Desert from Mario Kart 64, with the phrase "Good things come to those who wait" and the Mario Kart 8 hashtag. Kalimari Desert most recently made a reappearance in Mario Kart 7 on 3DS, but perhaps we may see it and a few other new tracks come to Mario Kart 8 in the future. What do you think? Is there a fire somewhere behind this smoke? What tracks would you like to see in a potential third DLC pack? Share your thoughts in the comments below. It would be great if there are new DLC tracks coming! I'm hoping for some more tracks from Double Dash!! Honestly, this makes a lot of sense for them. Since the company as a whole is basically just punting for the rest of the year, expansion packs of old, but popular, games will be a good way to keep fans happy. @MitchVogel nuts! Just as I was getting ready to add "inb4 someone says something about the lack of Wii U games for the rest of the year..."
I wouldn't mind to see more MK8 DLC! Daisy circuit please 😢 battle arenas ans characters that aren't alts of the same characters. This would be most greatly appreciated if Nintendo filled in the gap with some new DLC for old games. I wouldn't get my hopes up. That usually leads to soul-crushing disappointment. Nevertheless, I honestly think that adding more content to already existing Wii U games would probably be a good move , since it's looking highly unlikely that we'll be getting much this year. I mean, dlc, as far as I know, isn't as difficult as making a full game, and if the Wii U isn't going to get much this year, then...yeah! Let's get some more content for some of the games we already have! I would love to see a Mario maker themed course, lots of possibilities with hazards and alternate paths. I really don't think it's a DLC announcement, sorry. I think it's some kind of gag about waiting for a train or something. @CharlieSmile Why the MK8 reference then? Seems fairly plausible for a DLC teasing, sure, but I'm still taking this with a grain of salt. If we do get new DLC though, can we get actual battle arenas as well, please? I loved Battle Mode in previous games but the fact that it's now only on race tracks really kills the mode for me in this game. By itself, it would've just been a joke. But the MK8 hashtag? Somethin' be brewin', methinks. 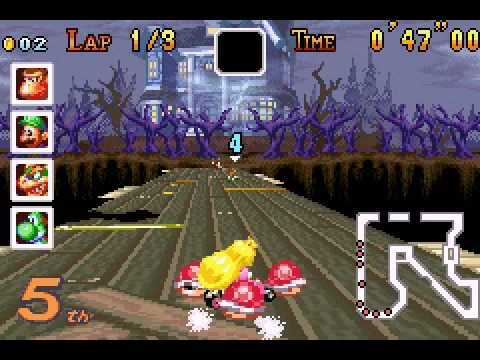 I'd be happy with more Mario kart themed characters and races, even if they were just polished old tracks. Is it Mario Kart or Nintendo Kart now ? I was about to brush it off as a joke about getting hit by the train before I saw the hashtag. But again, it's nothing concrete. Hell, it may be an underhanded way to say "Hey, MK8 is a thing, did you buy it?". But that would seem weird. Either way, I'm all for MK8 DLC. With what they have already done on it, it's a given it would be great. Wait and see, as per usual. Would rather they paid Mario 3D World some love. That'd work great for DLC. I wouldn't mind. Even if a third DLC pack doesn't happen, I'm really happy with what we already have. Block Fort. That's all it needs. I'd buy any more MK8 or SM4SH DLC they would throw at us, hopefully we will get some new goodies for MK8, including more amiibo outfits! Another 2 cups for DLC? Maybe a proper freaking Battle Mode? Pretty sure they just mean that you have to wait at the train crossing when you play that track. The MK8 hashtag is because that's the most recent/most expensive entry in the series so it's the best one to advertise. @Adamario @CharlieSmile Yeah I don't think so. That track isn't even in Mario Kart 8 so why would they arbitrarily reference it if the whole thing is just an advertisement for Mario Kart 8, a game that they haven't actively advertised since it came out two years ago? That makes less sense than the "dlc" reading. And if it is just a MK8 ad, it's a pretty sorry attempt at an ad. I would love to see splatoon tracks and the inklings as characters. With all the splatoon hype that's been going around it wouldn't be surprising. Plus Kalamari desert? There's squid written all over it! I'm down for another dlc pack. I don't have any specific old tracks in mind, but a Splatoon track would be welcome. I really think for the next entry they should have more non-Mario tracks and characters. There are so many tracks that are re-hashes or not that exciting in concept, so basing them on other games like they did with dlc would be very welcome. I wouldn't mind some more courses as paid dlc. It would be great if they expanded multi player mode. Hmm, I just started playing this again a couple of days ago... Mario Kart 8 DLC at E3? Makes good, good sense to do it, but this reveal/tease seems a bit random and/or careless. Or do ports of popular WiiU games to NX, give those who supported them on WiiU a discount and release updates for these ports at launch to make them interesting for new players? But DLC on the WiiU version is good, too. But if they do it, I'd love to get Daisy Cruiser, Dino Dino Jungle and Coconut Mall. Didn't really like their remakes on MK7. ..."Good things come to those who wait. "...for Mario Kart 8 on NX, with New tracks!.. My gut tells me this is merely Nintendo following up on their social media by coming up with a cute harmless post. They may be using the # for its actual intended purpose, linking it in with other posts under the MK8 hashtag, because they know people are into Mario Kart 8. This is amazing news!! I really hope this means the arrival of Bowser Jr., but the new/retro tracks is of course the main draw. But why do they have to bring back Calamari Desert when we just had it in MK7 and we already have two retro desert stages, being Dry Dry Desert and Cheese Land, if you count the latter. I just want Coconut Mall and Maple Threeway, though that totally makes me a hypocrite because they were also in MK7. Could this be officially unveiled at E3? I can't help but wonder if this new DLC (provided it's real) was never intended and is a result of the Wii U's drought, given the rumored delay of the NX. I wouldn't be terribly surprised if Smash gets extra DLC for the same reason, seeing how they they tweaked Bayonetta beyond the "last" update. I love Mario Kart 8 and have played all the current courses to death. Some new courses would be super welcome and would lower the odds of Baby Park showing up online. I would be thrilled if they just fixed the battle mode, but I doubt that will happen. I predict an all Fire Emblem cast and track set. Hmm, Nintendo Deutschland posted a similar tweet..
Oow... another DLC contents ? Well, i would like to see Coconut Mall again with Anti gravity section inside. I love the music so much. Ragtime, yay. I'm a bit afraid of crossover theme, what theme that will be inside ? Please not something weird, i'm not fond with some Nintendo franchises like Pikmin/ Metroid/Zelda/Splatoon etc. @lamarrkx You are correct, translated, Nintendo Deutshland posted the same image accompanied with the tagline "It's worth the wait #MK8". Hope this DLC happens, the previous packs would have to be some of the best DLC out there, with lots of content yet still reasonably priced. Unlike cough smash 4s majorly overpriced DLC cough. If it is DLC, I expect I'll pass it this time. The game hasn't interested me for a long time now, and not even new crossover characters (say, Inklings) would make me interested in playing it. @allav866 All of my YES! 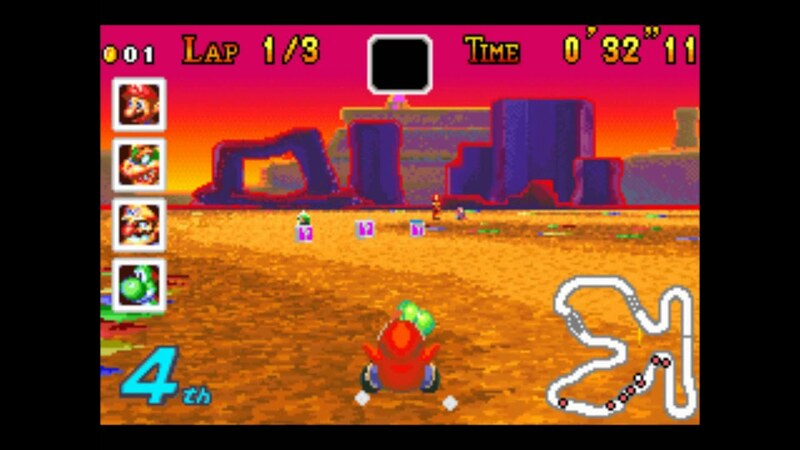 That and the Wario Stadium dirt bike track from the N64; that track was my JAM. The best thing they could do, though, is to make a free update with this DLC pack that FIXES BATTLE MODE to feature ARENAS instead of tracks. If they did that, MK8 would officially become the best Mario Kart since Double Dash. There is still hope for Wario Coliseum! Maybe... Eh, the tweet seems strange but I wouldn't count on any more DLC. It makes sense to add more DLC, in my opinion. Splatoon and Hyrule Warriors are still getting add-on content, and Smash Bros. lasted a good while. I've been wanting Bowser Jr. and Diddy Kong for while now. Hopefully, that may happen. Additional DLC? That would be totally awesome. 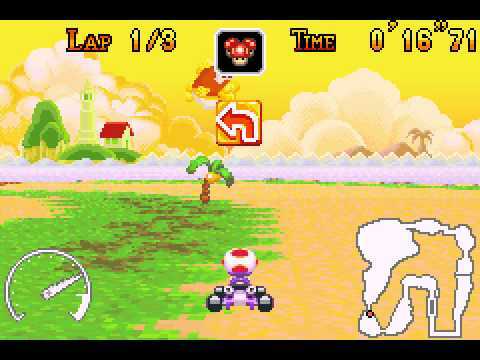 Isn't there something odd about Toad and Wario's shadow in the pic? Don't the Mario Kart 64 karts only cast a small circular shadow? Better add some update to allow player have helmetless Mii, more costume alternatives for Mario/ Luigi/ Peach/ Toad just like in Super Mario 3D World or Mario Galaxy, more Villagers appereance for both boy and girl or even some Animal Villagers from ACNL to participate. Imagine Ankha/Marshall/Whitney/Jay/Hopper etc in Mario Kart 8. Maple Treeway and Coconut Mall would be great. I'm ready for "good things". Maybe this is their way of telling us to wait for the Hype Train that is E3! Thought that tweet was odd. I'd love some more DLC. Banshee Boardwalk and Bowsers Castle N64 would be great. I hope this isn't just a mistake. It's possible that someone at the Nintendo UK thought that Kalimari Desert was in MK8. @Neko_Ichigofan nope, the game was rather sophisticated with its shadows. For a n64 game using 2d sprites, that is. Makes a lot of sense. With their release schedule seeming to have stopped for the Wii U in favour of the NX which seems to be delayed, this would be the perfect way to quickly get some new stuff to the fans. I'd expect more Smash Bros DLC too - Linkle needs to join the action! I would be ecstatic to see Rainbow Road from Double Dash on Mario Kart 8! 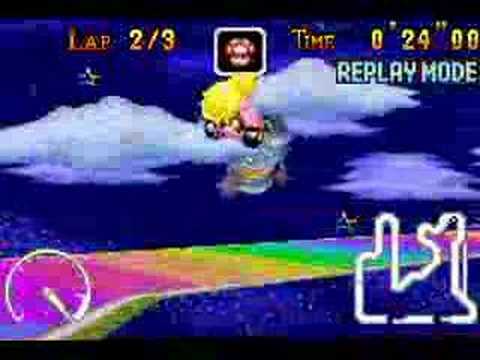 It will always be my favorite Rainbow Road, and it would be so cool to see it come back! As for others, it would be sweet to have those Wii Sports Resort courses from Mario Kart 7 on Mario Kart 8, also, and maybe some other ones I can't think of right now. I'd love to see airship fortress as this is the only course that features bullet bills and uses them to great effect. As there were multiple animal crossing characters, I'd like to see an expansion on the Zelda content with Ganondorf and Zelda. Ganondorf would look comical riding a motorcycle with his long cape. Like one of those daredevil stunt riders. Maple Treeway would make me very happy, along with the Resort courses. I'll take a £5 bet with everybody who says there isn't more MK8 DLC coming - it's quite obviously coming, and this is the tease. Could be free update to bring people back and keep people talking. And what is better way than bring support to 2 year old game? Perfect thing for anniversary. Ideally I would love every retro course fitted for MK8. N64 and Gamecube tracks has some of the best! I was saying this to my partner the other day. Due to the shockingly small Wii u lineup this year and the now non-exclusive, 3 year delayed Zelda U not coming out this year, I'm fully expecting big updates for MK8 and Splatoon over the summer. Gotta admit I brushed this off instantly when I saw it on the Nintendo italian Twitter as I'm used to their joke-posts, still this is admittely too weird, an old game screenshot which is even hard to understand if you never played the game (then again, did anyone never played MK64? XD). I guess we can only wait and see, but seems like there will be afterall surprises awaiting as at E3! @MitchVogel Sorry for nitpicking, but since most of the tweets made by Nintendo UK, included this one, are made by all Nintendo's twitter accounts around Europe, wouldn't this make this hint/tease a NoE 's one? God yes! 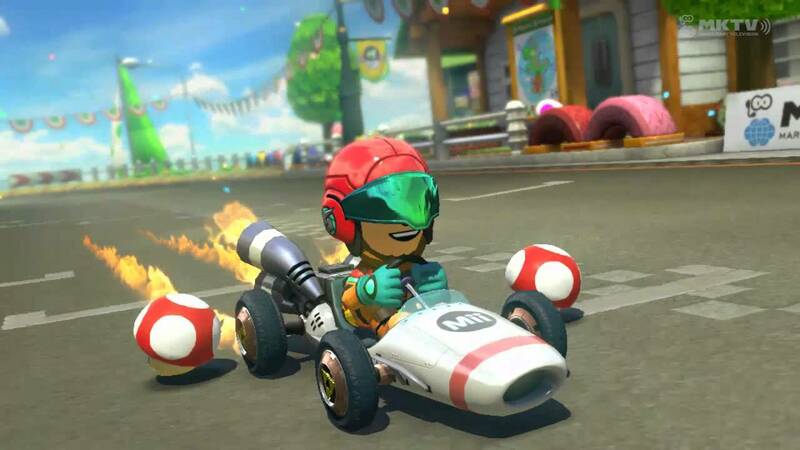 More MK8 DLC please! I was going to predict Yoshi's Woolly World 2 for Wii U maybe as a surprise game. Something where the assets are already there and it would be easy for Nintendo to churn out. But more MK8 DLC could easily work. A fix at long last to the horrendous Battle Mode? It's the only blight on an otherwise near perfect game. It would also help boost sales of a future NX port if it happened. If this happens I'm almost 100% sure there'll be a Splatoon track. I'd love it to be the case, but sadly I think this is a general point about the weak Wii U line-up and that it'll all kick into gear when the nx comes. 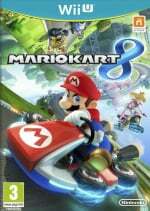 I'd love Nintendo to just re-skin MK8 and do MK8.5 and/or more dlc. Remember when they did that with Ocarina of Time and we got Majora's Mask? (before I attract the wrath of the overly-zealous, I am aware that there was a bit more to it than that, but not nearly as much as developing a game from the ground up). Bowser Castle 3 from the Wii game please!!! This comes off more as a random joke on how it's good to wait until the train's passed rather than to try and outrun it. That being said I'd be quite into some more DLC. Maybe put in Inkling, Callie, Marie, Birdo, King Boo, and Captain Falcon, be a pretty awesome set. @Lizuka I think many didn't get the joke. While I reckon it's just wordplay considering that you have to wait for the train to pass, the #MK8 is really suspicious, like, why not 64 or even 7. Plus, I want more amiibo costumes, like... Let's see which amiibo I have, erm, Ike could work, right? Kalimari is Callie Marie. Yeah, it'll be Squid Cup if ever. I'm still hoping for Pikmin track to be included on the next DLC or in MK9. I thought more Mario Kart DLC had already been confirmed, in an investors' meeting or some such gathering? I always had it in my head that more would land, although this was admittedly a while ago. I'm still waiting for additional Pikmin 3 levels that Shiggsy alluded they would make. And I'd love it if they opened up more alternative routes to other levels in Starfox Zero. Good thing comes to those who wait. Not dlc coming but. Wait for the train to leave. It's a joke guys. Come on. Everyone getting so excited. Either this is simply a screenshot with a joke caption or a sneaky hint of what's to come... wheather is has anything to do with MK8 in particular, who can say... no one yet. :3 But, regardless it makes me hyped for the idea for new Mario Kart related fun in the not-to-distant future. Story mode like dkr, would be awesome! An interesting crossover would definitely be working with Sonic for the 25th anniversary and all. Have a themed track and add him in, along with some other new and remixed tracks, like the Zelda and Animal Crossing DLC from before. I'm not much of a Sonic fan anymore, but that'd be kinda cool. Pokemon would make a ton of sense as well to crossover with, since there's an anniversary afoot there as well. A Punch Out or Wii Sports boxing ring for a battle mode arena would be cool. I would love to see new tracks for Wuhu Island and Delfino Square. Plus I would like to see remakes of Rainbow Road and Luigi Circuit from MK Wii. If there is DLC coming, I hope that the new characters are unique and not more along the lines of pink gold peach and cat Mario. That really annoyed me in the last batch of DLC. Samus and Metroid tracks please. Maybe we can Finally get that Kirby in Mario Kart 8 thing, that they teased us about in that Smash Bros Trailer from 2 and a Half Years ago. @Adamario but the picture has nothing to do with it. 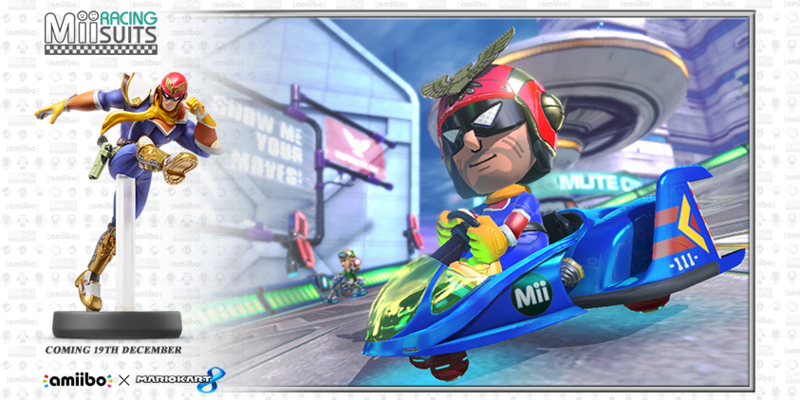 If they wanted to advertise MK8, wouldn't they just use a MK8 picture and message? I'd be more than happy to see DLC for existing Wii U software until the NX replaces it at retail. The #MK8 is the oddity because it doesn't belong in the tweet and clearly is something they are trying to get trending and exposure for, so I assume they have something cooking.......but Nintendo likes to troll from time to time so who knows. @Rexx If they include Judd waving his flag at the finish line, I'll be more than happy! If it happens it makes perfect sense, you don't need lots of new games for a great year. All you need is some great games and a lot of extra content. Let DLC packs 3 and 4 happen, let more adventure maps happen for Hyrule Warriors Wii U, let Wolf return to Smash and add more Splatoon stgaes/modes, etc. All of that combined with the strong 1st half of 2016 lineup (TPHD, Pokken, SF0, SFG, TMS#FE, Mario & Sonic) and this would be approaching as good as 2014. More DLC would be awesome, I haven't played the game in ages so this gets me back into it! Apology excepted Nintendo launched during E3 week, yeah. Boo Lake, the first outdoors haunted track in Super Circuit. Broken Pier could be an alternative, but I don't see the need to accept any substitutes. Cheep Cheep Island, as a "sequel" of sorts to Mario Kart Wii's GBA Shy Guy Beach, featuring one of the most ridiculous shortcuts in MK History. Sunset Wilds, a natural park with Shy Guy as Native Americans that slow you down (as seen in the pic) if you accidentally run into them. Notable at the time of MKSC's release for showing off the console's capabiities right off the bat thanks to a progressive sunset with each lap (which is sadly a bit lost on the 3DS Ambassador version of the game, but as that Mario Kart is awesome on its own anyway, that's not buch of an issue). Snow Land, an adorable snowy track featuring such hazards as... slippery ice, snowmen and frozen water pools! And Lakitu would actually pick you up frozen if you went for a swim, which is also adorable. Sorta. 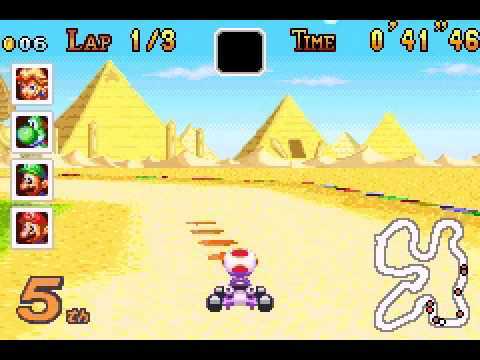 Yoshi Desert, a setting apparently also seen in some Paper Mario games (which would make sense, as MKSC was developed by Intelligent Systems), with a catchy arabic-ish tune punctuated by distorted SNES Yoshi noises (far better than it sounds). Bowser Castle 4 isn't actually a track I want that bad, but it'd fill the "GBA Bowser Castle" quota (as mentioned in my appendix for Lakeside Park, above) as the last Bowser Castle from Super Circuit to be remade, so I'm listing it among the viable options. It's not like this track was all that innovative, but it was kind of chaotic once you notice the minimap's layout in the image. Hopefully the GBA Bowser Castles will be remade again in Mario Kart 9, considering some tracks have appeared more than twice throughout the Mario Kart series (SNES Rainbow Road has a whopping four appearances, considering SMK, MKSC, MK7 and MK8) and I totally wouldn't mind my favourite GBA castle, Bowser Castle 2, to reappear in MK9 afterwards. GBA RAINBOW ROAD! You knew it was coming, bro, and man does this track kick some major backside. Now, the only possible reason not to include this track is a mere matter of quota, given MK8 already pulled off the impressive feat of having no less than three Rainbow Roads. That's kind of all for the negatives, because BOY there's a lot of good things to say. First and foremost, Paper Mario's Bowser Castle in the background, as the game was indeed also developed by Intelligent Systems (same drill as Yoshi desert). Second thing... did you notice the yellow outline the track has? That's the same tileset as the game's bouncers. You know what this means, right? Yep, all of the track's guard-rails act as possible ramps. Get a mushroom and you can pull off THE single most ridiculous shortcut in the whole franchise (which, just as in Cheep Cheep Island, I dare not to spoil for you). Also, the last piece of music in the "Rainbow Road Medley" in Super Smash Bros. 4 heard right before the medley itself loops? Yep, it comes from this track's BGM, a soothing yet celestial melody. Really fitting for a medley that was more of a handheld-only tribute to the entire MK series (that is, counting three MK games out of eight). Not much of something to praise for this track, but I thought it'd be nice to point it out. Aside from my Super Circuit bias, here are some honorable mentions: N64 Bowser Castle (as a less confusing alternative to MK8's own), GCN Wario Colosseum (it seems MADE for Mario Kart 8), 3DS Rosalina's Ice World (I'm a sucker for snowy settings and for anything Super Mario Galaxy, so this track counts twice), GCN Mushroom City (why hasn't this been remade yet?! ), 3DS Daisy Hills (European-ish tracks for the win!) and, why not, GCN Bowser Castle (because it was another great castle). Now all that's missing is a MK7 update that finally adds a single-player single race mode, but I'm afraid we'll see that the same day Super Mario Maker's slopes, Half-Life 2 Episode 3 and Kingdom Hearts III are released. Given how long it's been since Splatoon's free content updates finished (not including Sheldon's picks), I wouldn't be surprised if the team started work on a couple of DLC packs, maybe one for the summer and one for Christmas. EDIT: Wait, wrong development team: Splatoon was by Animal Crossing's team. @Sir_JBizzle Shouldn't be the botched battle mode fixed free of extra charges? About the new tracks, I'd gladly buy them. DLC1 and 2 are fairly priced. Nintendo isn't just going to show Zelda. They have other plans. I highly doubt they have nothing new for wii u and 3ds to show. Dlc or maybe even some new games coming...I'm just sure nothing will come close to Zelda. @Donutman They already confirmed they're showing more than Zelda. Would be a good way for them to keep some WiiU income in the upcoming lull. Kalimari desert though? Never liked that track. The whole waiting for the train to pass whilst others speed off ahead is the worst! If it's coming back I hope there's a major rework meaning you don't have to stop and wait in the middle of a race anymore. Waluigi Pinball and Toad Factory would be my choices for the other two. As for a new IP crossover? 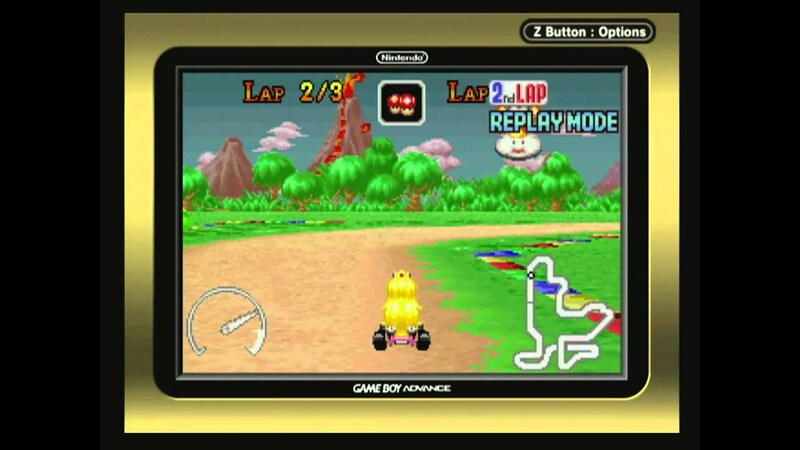 Pikachu seems a good fit to me, especially with a car and track based on Pokémon Snap! Or as we're talking "Kalimari", Splatoon could be a ton of fun too! 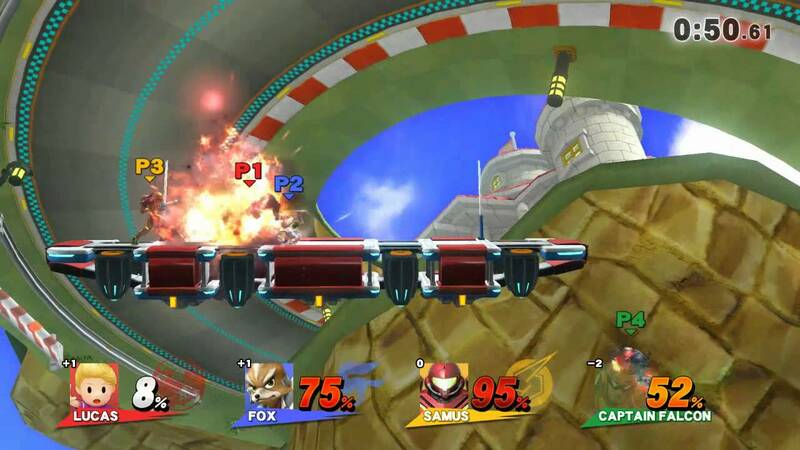 @Ogbert They fixed those issues in MK7, the train was made shorter and there were glider pads which allowed you to glide over the train. @MitchVogel "Why the MK8 reference then?" Have you been following Sony and it's never ending Crash Bandicoot mentions? Still no new game though, or even an HD remaster, which Sony is very fond of. Maybe Nintendo is just trying to match them tease for tease? @Captain_Gonru If that's the case, can I please get Lego City Undercover as well? I do like the Selects idea, but at the same time, the DLC alone is worth $12, so they can't do $20 for both the game and DLC. And repackaging the game itself for $20 at this late date and selling the DLC separate seems wrong. Though I suppose the game and DLC in a new package - like the Wii U bundle has - for $30 would still be better than $20 and $12. You know, I'm sure there was a much shorter way to say all that. If MK8 is getting more DLC at this late date I hope they go all in on the SSB free for all. They still haven't shown us what the Cloud and Bayonetta amiibo look like. And the new squid sister amiibo really need to do more than unlock songs. Showing the new amiibo alongside some unlockable skins would be nice. At some point Nintnedo really needs to make the effort to give people a choice, pay $6 in game to unlock something, or scan in your $12 amiibo to unlock it. Not sure why we have to pay $6 to unlock a level and character in SSB plus pay $12 to play alongside that character as an amiibo. They never gave us the choice in Splatoon, pay for amiibo, or don't play the challenges. @rjejr They did it with NSMBU + NSLU. If I recall correctly the NSLU DLC was more than $12. Smash however would need something like a Definitive Edition with all DLC included for $60. Bring back Dry Bones and I don't care how much you'll charge for this, Nintendo. I'll buy it. Constantly referencing a series that never makes an actual comeback is just cruel, regardless of the coolness of having a tweaked version of Crash Bandicoot's Boulders (which has nothing to do with the https://supermariomakerbookmark.nintendo.net/courses/C315-0000-00FA-A287 one, and I apologise for the shameless plug) as an easter egg in Uncharted 4. But seriously, why referencing a series all the time if nothing comes out of it? I mean, winking at a fanbase is pretty much not like making an actual game at all. Aren't you annoyed of all this constant teasing? Okay, I'm done milking this joke. @Grumblevolcano Well there goes the whole "Selects" thing then. You're right about the Definitive Ed., and I searched Google for a picture of that bundle, which I assumed already existed like the NSMBU/LL box, but I couldn't find it. I thought it was boxed like that in the Wii U bundle but I suppose it's just a separate download. Question though, could they do a "Definitive Ed" now w/ the prior DLC, and then at the same time announce new DLC? I suppose it could work, new DLC in new marked boxes, a download for the rest of us, but it seems anti-intuitive. It's early on a Sat morning and I'm still half asleep though. Oh, and I was inspired (better than rip-off) by your comment, which is why I edited in "the last half of". DLC isn't' much, but better than nothing. And PM:CS is still coming. And I'm still expecting a couple of new announcements at E3. I'm an eternal optimist. I can' tell if you're making fun of Ntinedo or an upset F-Zero fan, so I'm just going to say I'm crying and laughing for you at the same time. All the more reason for me to finish Darksiders II and remove the 9.9 GB game from my Wii U, because I can't even download a patch. It was a snark aimed at Nintendo, Sony, Microsoft's first misleading Banjo-Kazooie Nuts & Bolts trailer and in general to anyone (MegaMan in any crossover game as a Capcom example, etc.) who references their own dormant IPs without going the whole hog. And, sad to say, what @Captain_Gonru mentioned also happens to me. I'm grumpy and whiny as a fan can possibly get about his favorite stuff, but whenever any mention of older, dormant series is made, I erupt in rejoicing forgetting any of my grudges. Nintendo is holding me by the attributes, and I'm painfully aware of this as we speak. By the way, rjejr, your age is one of the things I love about being a Nintendo fan: trading snark, insightful comments and anything in-between with fifty-somethings and teenagers alike. @Captain_Gonru It's so weird to get an email from you on topic. I'm going to have to go w/ @Grumblevolcano on this one, DLC are the Wii U's games for the last half of 2016. DLC and amiibo. I best be getting some info on my Cloud amiibo at E3! ahem, MK8 DLC confirmed, as the Illuminati would say. Wow, if this is true, that would be so awesome! In theory, it would probably take less time to port over MK7 courses then say, create all new tracks since the designs, layouts and so on are already there plus you have spots for gliding and underwater sections already. Maybe add a few gravity sections and you're set to go. While I'd love new MK8 DLC, especially if it has more non-Mario Nintendo characters (one step closer to Super Smash Kart), we MAY be looking too far into this. The "Good things come to those who wait" may just be a joke about how it's best to wait for the train to go by in Kalimari Desert instead of trying to rush and get through before it gets in the way. Nintendo's Twitter accounts love their dumb jokes and memes. And the fact that it has "#MK8" could just be because it's a million times for relevant than #MK64. I do hope we get new DLC though. If I were to put on my tin foil hat, I'd say that maybe Callie and Marie from Splatoon, or maybe a generic Inkling (you can choose the gender like Villager and color like Yoshi/Shy Guy) would be new racers because of the course in the picture is Kalimari Desert. It sounds like mario kart 8 HD launch title for NX will come with new bonus tracks. All a tease to make you buy it again and wait until March to do so. Lol there's a chance that Ninty's social media team accidentally used the wrong hashtag! Not that I won't mind more DLC, but it's been over a year since the last one. How well do they think it would sell if it did? @Seacliff Hyrule Warriors DLC stopped in February/March 2015 and restarted in March 2016. Sure the 3DS game exists but the Wii U version is getting DLC too. @123akis Nahh all of Europe used the #MK8 I forgot to mention that on the news tip though..
Don't. get. my. hopes. up. Mario Kart 8 DLC has been pretty good, I would like some more. So, battle mode DLC please? The current battle mode is embarrassing. If they don't add new DLC levels, this would just be cruel and misleading! I'd want more.... So they won't do it. It has to be DLC for MK8, otherwise adding the #MK8 is asking for trouble. And Nintendo barely tweet anything so if it means nothing it's a bit random. @AlexSora89 I think you had some good ideas for tracks, but I don't think Nintendo would go for Sunset Wilds due to today's political culture and the Shy Guys, maybe if they get edited to generic Shy Guys it would work out. Political correctness has definitely gone mad lately. Great, now I'm getting my hopes up! Bowser Jr. Nabbit. Bowser Jr. Nabbit. Bowser Jr. Nabbit. I kinda hope this is just 2 cups with remastered retro tracks that have already returned like Maple Treeway and Koopa Cape (pleeeeeeease). We can't use em all up before Mario Kart 9! @DiscoGentleman This is news. It's news about a tweet. There's nothing speculative about it - they definitely tweeted it. Anyone who thinks the MK8 hashtag is just a typo, or just used because it's 'more relevant' is off their rocker. @Mister_Wu Link looks depressed and with good reason. @AlexSora89 Yeah, and being honest it seems like these changes don't satisfy to politically correct either. Back when Fates came out I picked up Birthright and some friends got angry calling me homophobic over that one support in Conquest. Pretty much when they see something they don't like, it's bad and done regardless of changes or context. @Mister_Wu Although that's expected given that we know a Zelda game IS coming. But what would be even better: A Doubledash-DLC with a new mode, where you can drive with two characters again! @MitchVogel maybe it's joining the nintendo selects. Good price for those who wait. @khaosklub There are tracks in MK8 which could be used instead though. Such as Moo Moo Meadows with the cows, Toad's Turnpike with a narrow traffic portion, Toad Harbor in certain circumstances. And a Mario RPG pack. I will then be satisfied. I think it's fairly obvious that this is hinting at Mario Kart 8 DLC. The Kalamari Desert clearly hints at Callie and Marie from Splatoon showing up. How anyone can think this is a meaningless post this close to E3 is beyond me. Wait you mean to tell me there was a Rumor on Rumorlife.com that actually is a real rumor not one of their usual fan made BS lies? Personally don't care what they do with new DLC since it'll be good, but I kind of don't think I want Kalamari Desert again, it feels like we've done that enough. Like I'm a bit tired of Yoshi Circuit. It reminds me of Zootopia, which I've finally seen a few days ago (after missing it on theaters). It pokes some well deserved fun at how meaningless the matter of "race" is nowadays. @Adamario that is my thought process as well. Wouldn't get your hopes up guys. Please, if this is actually happening, fix the greatest flaw you have with this game Nintendo, release proper battle arenas. There is so much potential wasted in the current battle mode by using tracks instead of arenas, I never played the mode, yet back in the N64 days, Battle mode was the mode we played the most because it was so damn fun. And this game could easily recreate that, all the mechanics are in place, they just need proper battle arenas. @Aerona If they were to add one Battle Arena, Block Fort would be the best choice by far. I would just love to see any new content for Mario Kart 8 personally. My body (and my money) is ready. Based on the graphic shown though If I were to bet money, there would be a new version of Kalimari Desert from the N64 (and 3DS). I think that it could be a possibility that there is more swansong content coming to the Wii U/3DS than the company has let on... It's very possible that E3 will have a lot of surprises with no NX being shown whatsoever. It might not be large stuff that is a surprise, but I feel like more Mariokart 8 DLC as a good surprise somehow feels right. I feel like Smash DLC has been an astromical ripoff, but I feel like Mariokart 8 did a much better job. I just hope that they focus on having retro courses that haven't been remade already and making the newer courses less generic (Ice Ice Outpost, I'm talking about you). In this down time before NX, adding DLC to some of our other favourite titles would be awesome. Amiibo support/more battle levels in Pikmin 3 and Tropical Freeze, more MK8 DLC, more Captain Toad content....I'd be happy with that to start! It is overpriced for it is. So this comes out on the 14th of September? 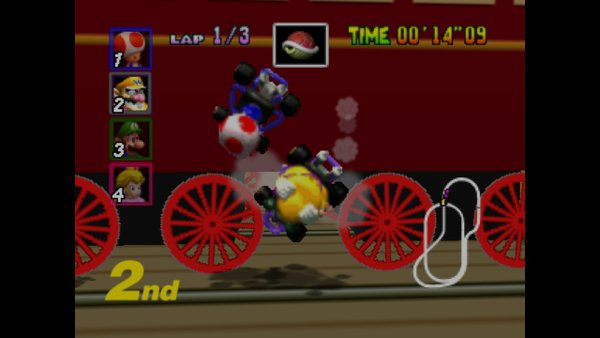 @Rumorlife Every MK64 track has been used except Wario Stadium though just like they're running out of Double Dash tracks (Mushroom City, Wario Colosseum, Bowser's Castle, Rainbow Road). SNES Rainbow Road I agree was rather unnecessary though (should've been Vanilla Lake 1 or 2). @Smokingspoon No, it is not. It is the same price as virtually any other AAA game. If you consider the pricing of games at 60 bucks too expensive, I may agree to an extent, but that is a whole different discussion. I have put more hours into MK8 than any other Wii U game I own. It was well worth the money and the DLC packs were an absolute steal. Just about the best 12 bucks I've ever spent. I don't know if this has been brought up already but Kalimari = Callie and Marie ,Splatoon X DLC ? "Shouldn't they be working on the next Mario Kart for NX by now?" Unless Mariokart NX will just be a deluxe version of Mariokart 8, with all the dlc included. Yeah, they are lazy like that. @vio Your #176 post is not in the spirit of NL - please don't post just to flame. @Adamario I think you're probably right! @Henmii Seems unlikely. It's far too massive of a franchise for them to simply stop. The top selling games on the Wii and Wii U are Mario Kart. I wonder how the long the development cycle is for them though? It seems they typically come out roughly year and a half to 2 years after the system launches. I'd be happy with the inclusion of more DS, Wii and GC tracks. Maple Treeway? Daisy Circuit? Mushroom Gorge? Waluigi Pinball? Ds Rainbow Road? Mushroom City? Wario Coliseum? @vio It wouldn't exactly be stopping, remember that the vast majority of people Nintendo will be trying to persuade for them to buy an NX are not Wii U owners. @Grumblevolcano oh yeah I forgot it was in MK7! I don't think the franchise will stop, but it will take a while before we get a new one. They may first do a Mariokart 8 deluxe version, I think. I'd love more DLC, but please no not Kalimari Desert. That's one of the most boring tracks ever even with the MK7 additions. Sounds like it is finally time to add King Boo! @AlexSora89 I'm suddenly having the burning desire to play Mario Kart Super Circuit. @Baker1000 Yeah, I think Kalmari Desert is boring too. I would like MISSIONS MODE please. Mario Kart Wii had regular online missions and there were lots on the DS version, why can't we have them for Mario Kart 8? They were fun and there's already tonnes of tracks to play them on. Please Nintendo. That's always a good sign, my friend. The options to do so, in decreasing order of inferability, are: play the 3DS Ambassador version, play the GBA original version, emulate it on a mobile device with buttons, emulate it on a computer, emulate it on a mobile device with touch-only controls, and, at the bottom of the barrel, support Nintendo's against-all-common-sense decision to tie a handheld game to a home console by playing the Wii U port. @AlexSora89 Ha ha, yeah, you can forget the Wii U port. I have the original game and a GBA SP/Gameboy Player to play it on. I prefer playing it on the handheld though, you seem to get a better sense of speed on the smaller screen. Good luck waiting for Nintendo to realize that. However, good choice! Play it loud, man! @lighteningbolt79 It's a picture of a Mario Kart game. The post uses people's nostalgia for MK64 to plant the idea in their head that they should buy the new Mario Kart. Advertising is about awareness, not making reasoned logical arguments. It's possible this was meant to be a cryptic hint, but it's much more likely that the team that made MK8's DLC isn't back together (or if they are, they're working on MK9 — the NX is only 9 months away, after all) and this is just a maybe-not-perfectly-composed social media post. Let's not set ourselves up for more disappointment than we need to. This could just be an awkward community tweet. Either that or Mario Kart 8 NX DLC. 2. Kalimari track just used for reference. Splatoon track for sure...esp with the astute Callie Marie obaervation above. @Adamario While it's certainly plausible they are now in the early stages of developing a Mario Kart for the NX, keep in mind that the last MK8 DLC pack came out over a year ago. It's certainly possible that they have been secretly working on more DLC for the last year and now have a bunch more content ready to go. By no means am I saying this is the case, but it's definitely a possibility. If we don't see anything at E3 in a few days, then I would say it is probably over with. But that's the thing — it's been over a year. Games typically don't just get new DLC out of nowhere after over a year of nothing, especially a first-party game on a console that's going to be replaced in nine months (we're closer to the NX launch than to the last MK8 DLC coming out). Yes it's possible, but the people acting like not only is this absolute proof of new DLC, but that we know for certain now that it's going to be a Splatoon track are going to be very disappointed, and Nintendo has done enough actual things to disappoint us (Color Splash) that we shouldn't be making up new BS things to be disappointed about. If I'm wrong, I'll be very pleasantly surprised — the MK8 DLC is the best Nintendo's ever done. If the people obsessing over this tweet are wrong, they're going to get pissed at Nintendo for no reason. @Sir_JBizzle Pay? WTF! Nintendo's the one who screwed up the Battle Mode so the customers should get a free update to fix that mess. @GammaPhonic For those that bought the "Complete DLC Pack" would just ruin the point of buying "complete" if Nintendo were to demand paying again. That's like the Season Pass of Mario Kart 8. Nintendo fanboys are willing to pay even if it doesn't make sense. We just want Super Why! characters for Mario Kart 8. The Super Readers, from "Super Why!" should quit changing stories and move on to become video game characters, which they can race. For further information, contact Out of the Blue Enterprises. We just want Super Why! characters for Mario Kart 8. The Super Readers, from "Super Why!" should quit changing stories and move on to become video game characters, which they can race. For further information, contact Out of the Blue Enterprises, to grant permission to use them. Did anything out of all this come to fruition?